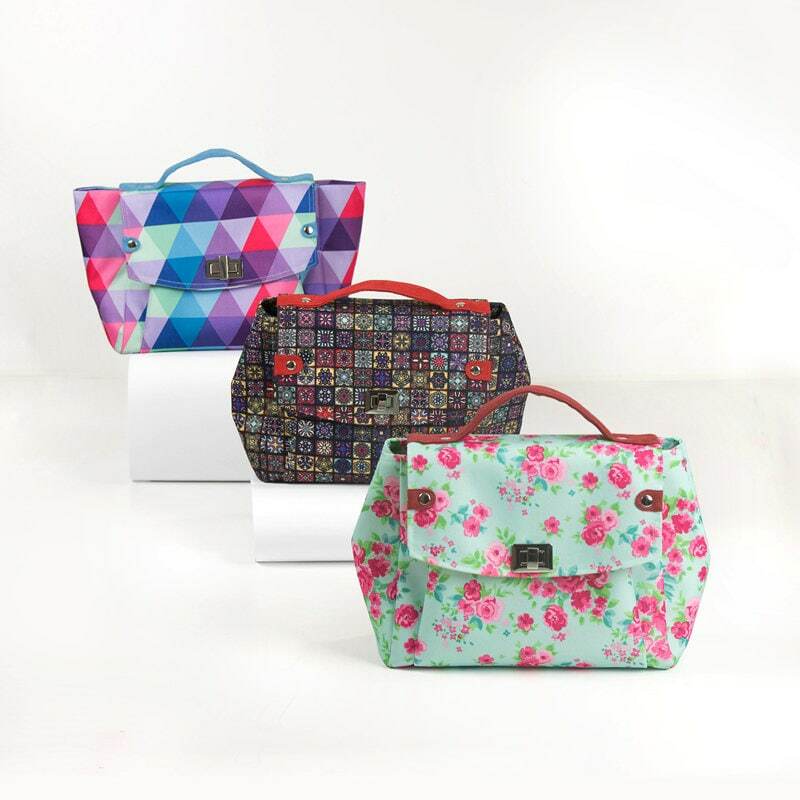 This beautiful and roomy handbag was designed by Kokka Fabrics to look like a Kimono. With this free PDF sewing pattern to print, you can create a round shaped hobo-style purse to carry a ton of stuff! This carry-all was trimmed with some vintage lace to soften the primary green fabric and modern print. You can of course trim this bag however you like with whatever you want to use. Pleats across the top and a diagonal line across the front give this purse a casual and comfortable look. I think this bag would be beautiful in a dark green plush velvet with some Lucky Shamrock ribbon, perfect for a chilly St. Patrick’s Day outing! Pingback: The “Sometimes” Bag – Free PDF eBook & Sewing Pattern + How to Choose the Right Needle | PatternPile.com - Hundreds of Patterns for Making Handbags, Totes, Purses, Backpacks, Clutches, and more. Pingback: Multi-size Pleated Zippered Pouches - PDF Sewing Pattern - Sew & Sell! | PatternPile.com - sew, quilt, knit and crochet fun gifts!